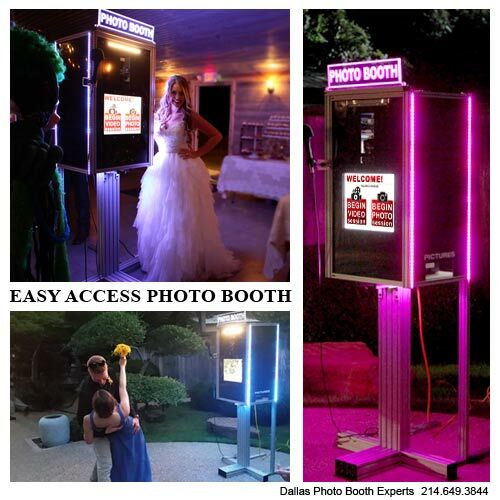 Our exclusive "De Luxe Photo Booth" and/or "Easy Access LED Photo Booth" provide you with Two Exciting Photo Booth designs to choose from (enclosed and open style). 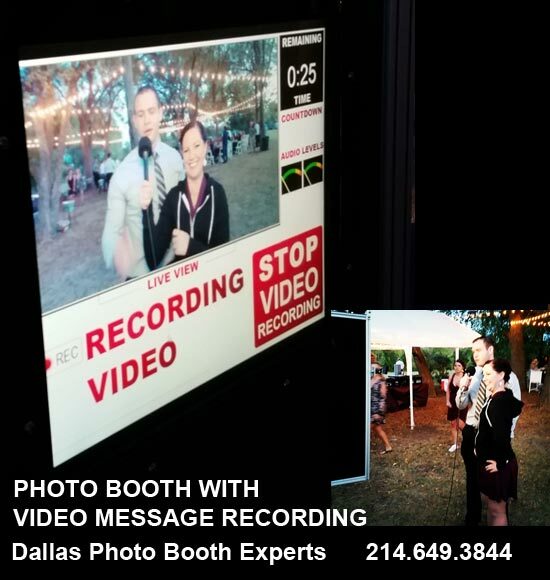 In addition to capturing fun photos, our exclusive VIDEO MESSAGE RECORDING in the photo booth will make your event Unforgettable! 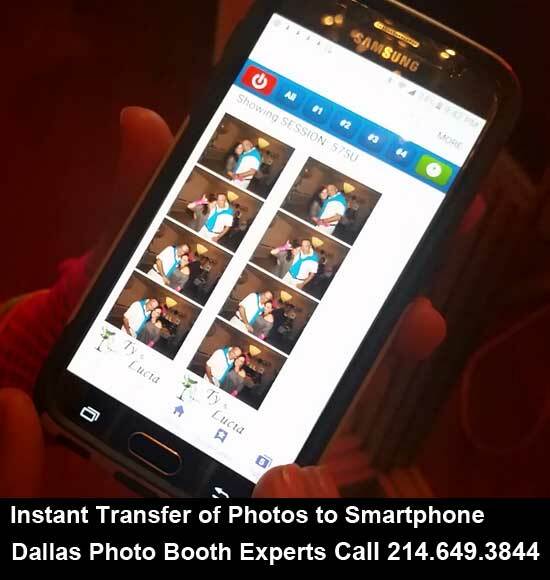 Our insanely popular and exclusive Video Recording, Instant Transfer of Photos to Smartphone, 360° Video and/or 360° Photography and many other cool features have made our photo booths a perfect addition to any event where large groups of people are gathering. 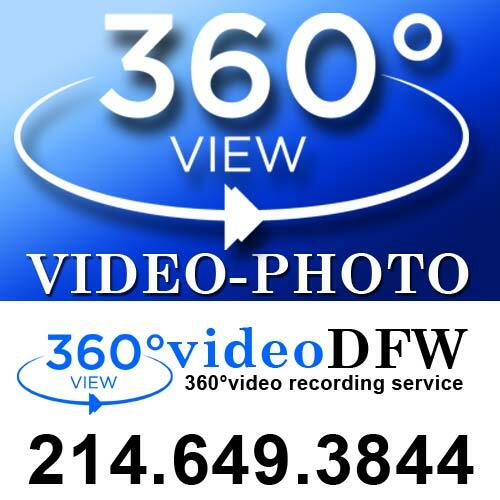 Use the booking options to reserve Photo Booth and/or Video Booth and/or 360° Video and/or 360-degree Photography for weddings, parties, quinceaneras, corporate events in the DFW area. 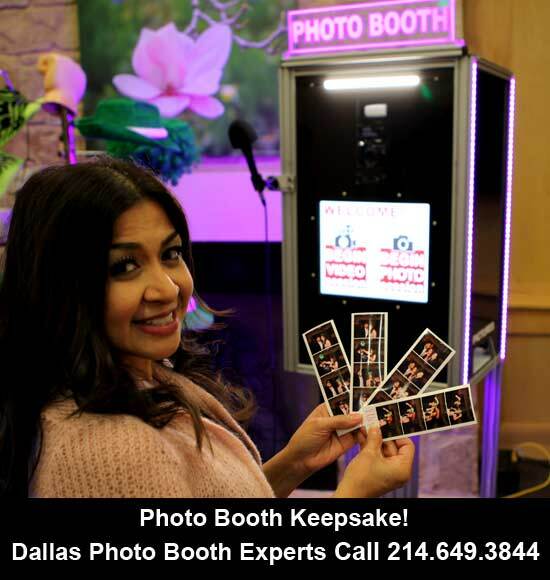 Choose the Photo Booth design for your event Enclosed and Open-style Photo Booth and/or Video Booth for weddings, parties, quinceaneras, corporate events in the DFW area. We are taking the DFW Photo Booth Rental to the next level! 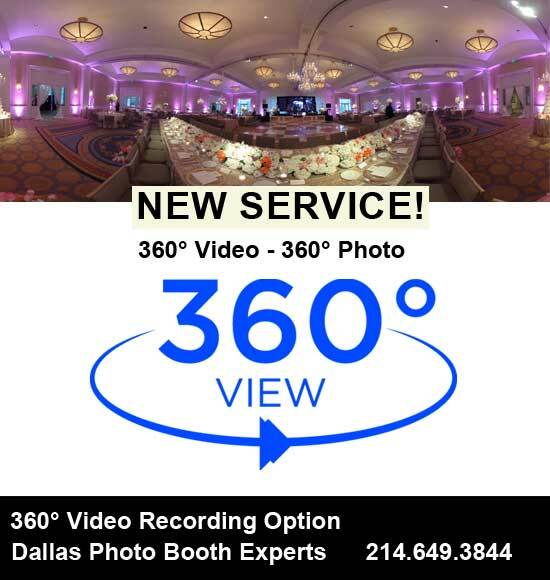 Our exclusive 360° Video Recording Option and/or 360° Photography Option is a stunning and captivating way to allow viewers to see all of your event in 360 degrees! It's as if the viewer is actually there and reliving the moment. NEW! Our exciting 360° Video Recording Option and/or 360° Photography Option is available per request with your photo booth rental! Explore this website and visit our Facebook, Instagram, Google+ page to see our two different units in action. Click here to submit your Request for a Price and Availability form. 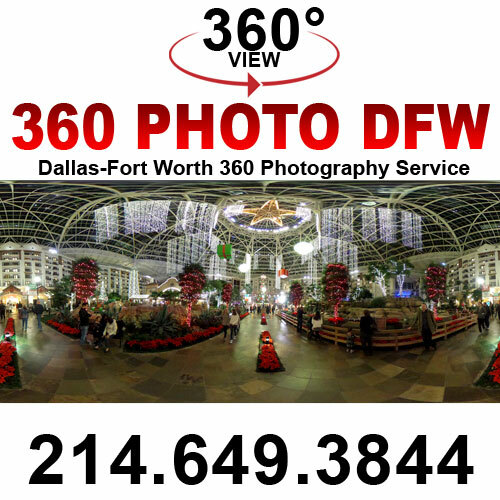 Contact us via email info@dallasphotoboothexperts.com or call 214.649.3844. 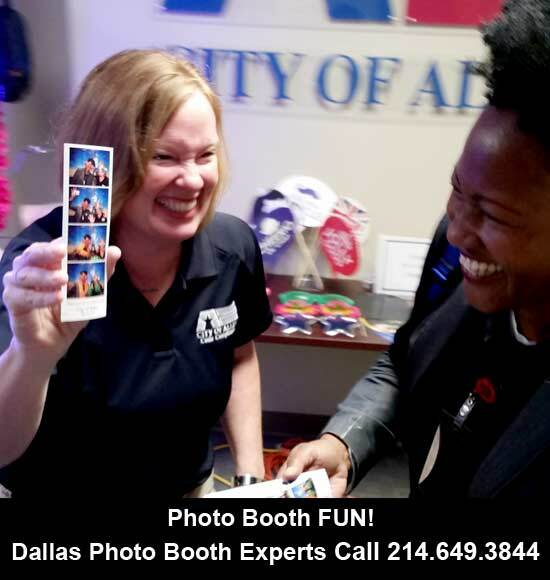 If we are available and you are ready to reserve our Photo Booth service simply let us know by emailing us at info@dallasphotoboothexperts.com or give us a call at 214.649.3844. Once we have received your email or call we will send you a photo booth rental agreement to sign and return. A $250.00 non-refundable retainer is required to secure the date. The remaining balance must be paid 30 days prior to the event. In the case that your event is scheduled sooner than 30 days we require the balance to be paid in full at the agreement signing. Payments can be made by cash, check or credit card. 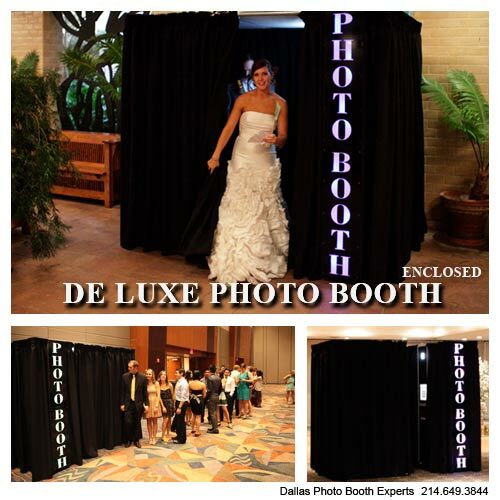 Enclosed De Luxe Photo Booth: Fully enclosed, 5 foot wide 8 foot long 7 foot tall. In order to operate the Enclosed Photo Booth you need at least a 10 foot by 10 foot area. NOTE: INDOOR ONLY. Easy Access Photo Booth: Open style - not enclosed, 3 foot wide by 4 foot long by 6 foot tall. Fits pretty much anywhere. NOTE: INDOOR AN OUTDOOR (conditions apply for outdoor use). Photo Booth rental service is subject to local sales tax. Set-up and Tear-Down does not count against your rental time. There is no fee for the time before or after your rental for the set-up or tear-down. Our Photo Booths have been designed to accommodate handicap participants. 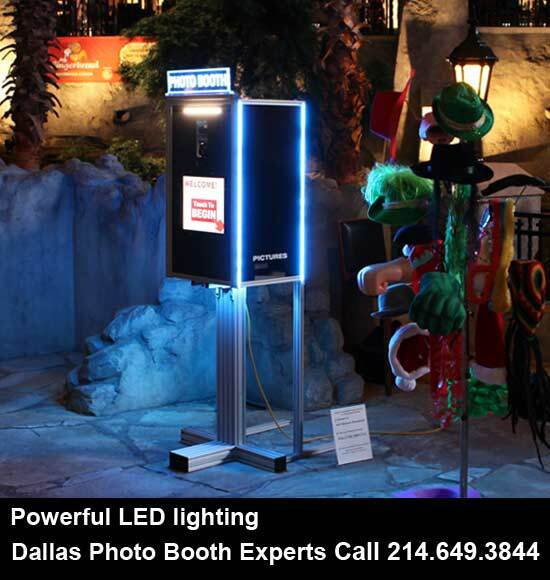 Our Photo Booths have been designed and built in the USA (Nebraska and Texas). 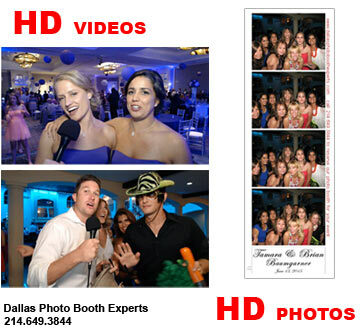 Dallas Photo Booth Experts located in Allen, TX. 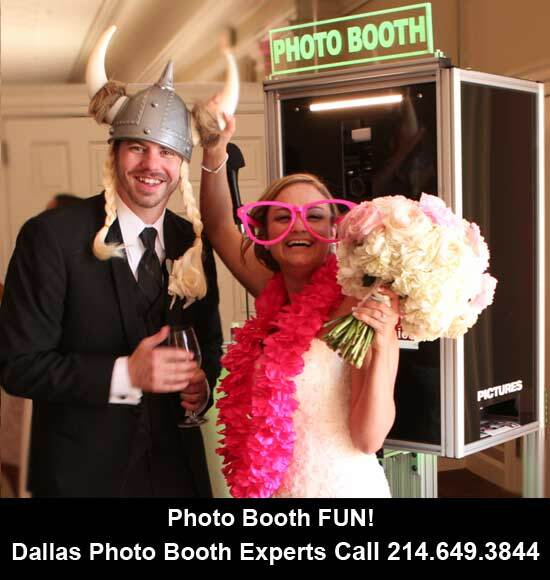 Dallas Photo Booth Experts provides Photo Booth rental in Dallas/Fort Worth Metroplex and all surrounding communities. Not all Photo Booth are the same! We at Photo Booth Experts have been building, selling and renting our photo booths since 2009. 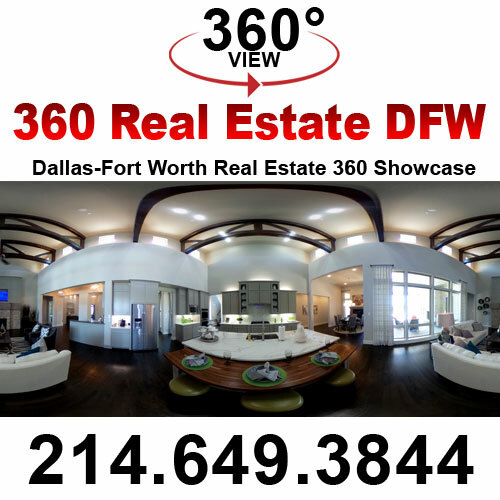 Our operation in the DFW area began in 2014 and has been gaining in popularity ever since. Our two unique Photo Booth designs (De Luxe Photo Booth and Easy Access Photo Booth) and unique photo booth features (Video Recording, Instant Transfer of Photos to Smartphone, 360° Video and/or 360° Photography) set us apart from our competitors. Our photo booths are ELEGANT, VERSATILE and FUN! Don't settle for just any photo booth - get yourself a photo booth from Photo Booth Experts! Check our Facebook	| Google+ | Instagram and see our photo booths in action. Make sure to read the reviews from our customers. Create fun and lasting Wedding Day memories. 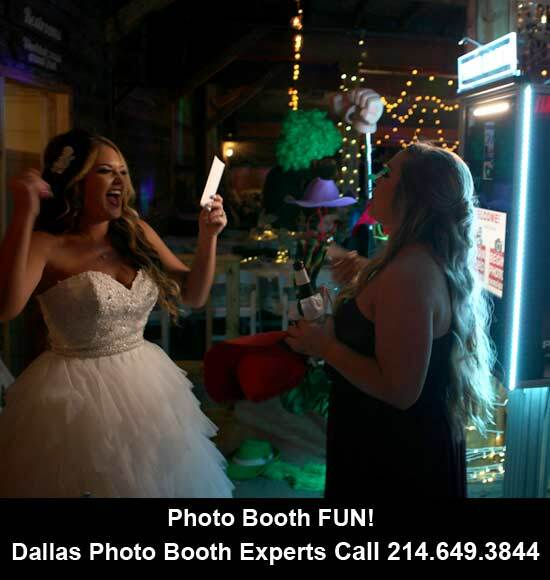 Dallas Photo Booth Experts offers an affordable photobooth rental service for weddings in Dallas Texas, Fort Worth Texas and all surrounding areas. Your guests will have a blast with our Photo Booths. It will be a party they'll never forget! 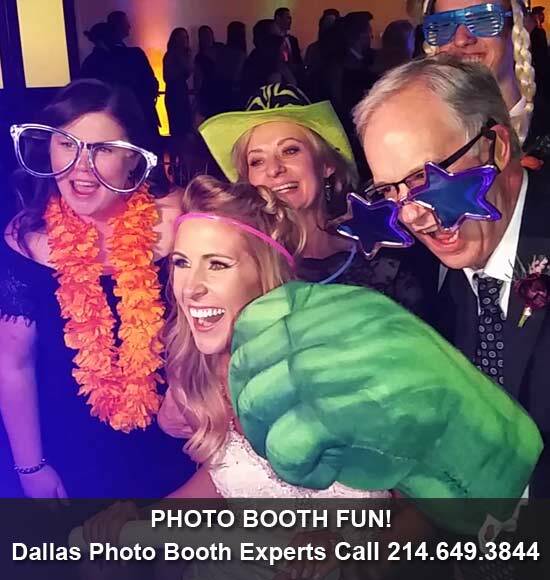 Dallas Photo Booth Experts offers an affordable photobooth rental service for Birthday Parties and Celebrations in Dallas Texas, Fort Worth Texas and all surrounding areas. A more exciting way to remember Prom night. 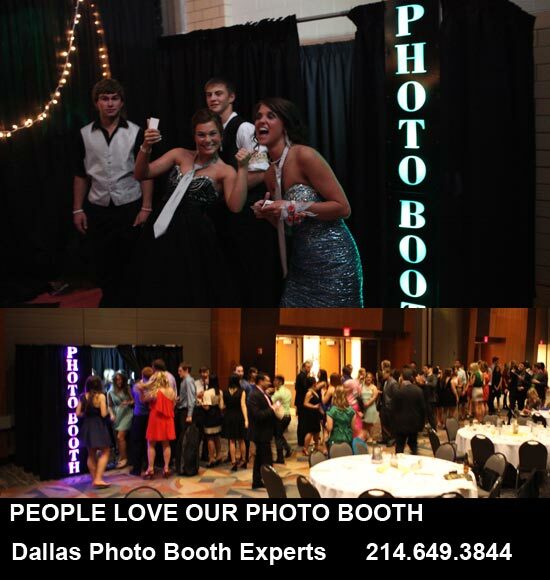 Dallas Photo Booth Experts offers an affordable photobooth rental service for Parties, Proms, After Proms and Graduations in Dallas Texas, Fort Worth Texas and all surrounding areas. Your coming-of-age celebration will always be remembered as fun and engaging. 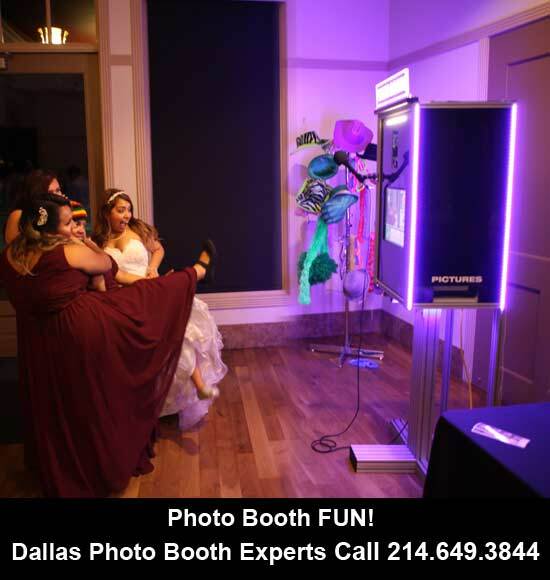 Dallas Photo Booth Experts offers an affordable photobooth rental service for Quinceaneras in Dallas Texas, Fort Worth Texas and all surrounding areas. A great way for your corporate event to exceed expectations is provide something unexpected. 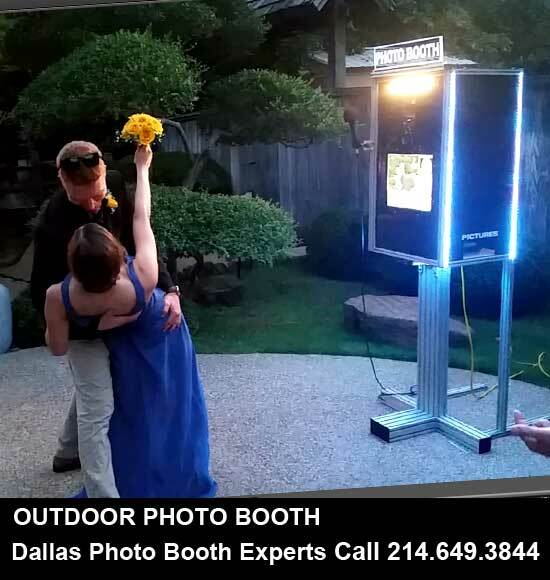 Dallas Photo Booth Experts offers an affordable photobooth rental service for Corporate Events in Dallas Texas, Fort Worth Texas and all surrounding areas. Our new and exciting Instant Transfer of Photos wil let you INSTANTLY DOWNLOAD YOUR PHOTO BOOTH IMAGES directly to your smartphone! Photo Booth Scrapbook a must-have photo booth rental option. Getting a photo booth scrapbook is an option that we highly recommend. Our complete scrapbooking service includes a scrapbook album, pages, adhesives and markers. 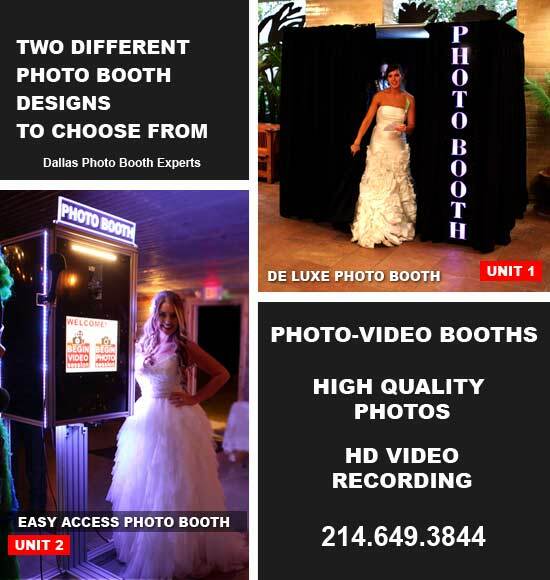 Unique Photo Booth Rental Option from Dallas Photo Booth Experts!In addition to the pictures we can record individual video messages. It's like a photo booth scrapbook where your guests leave you a written messages but with Video Guestbook your guests will leave a video message for you that will be recorded in HD. With Video Guestbook Option all of the video files will be included on your complimentary DVD. They were amazing!!!!! Everyone loved it! The open photobooth actually made it easier so people could see what was going on and so they could come try it out. 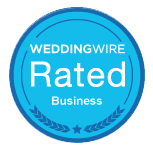 They were super flexible and helped us out last minute and gave us a great deal!!! Loved getting a dvd copy at the end so I could see all of the behind the scenes and all the photos and videos in one place! This is the 2nd time we have used this Photo Booth Company! Receiving the photos the next day is awesome! Love the ability to personalize the photo booth pix, so attendees remember the occasion! Highly recommend!! Not only was the photo booth so much fun but they took other pics of the wedding! Definetly recommend everyone calling and using Dallas Photo Booth Experts! 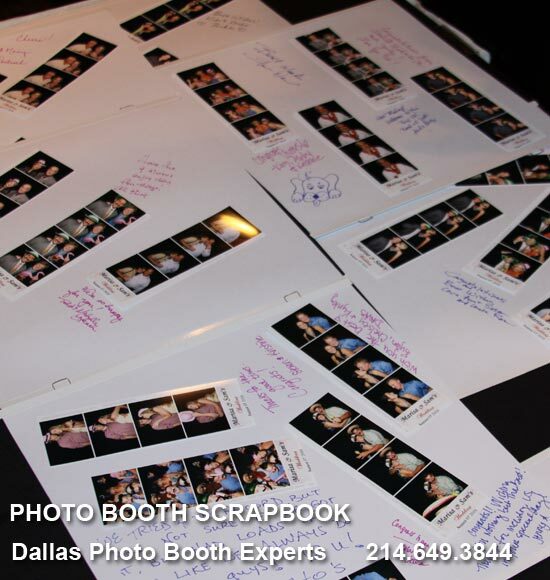 Dallas Photo Booth Experts was amazing from the beginning & exceeded our expectations! We had both the video & photo booth options. Oleg the owner promptly responded to any questions, was on time, hands on & very easy to work with! I received a tablet with all photos and videos as well as candid photos our photographer may not have gotten days after the wedding. I would highly recommend them!! 5/ 5 stars from 10 users. 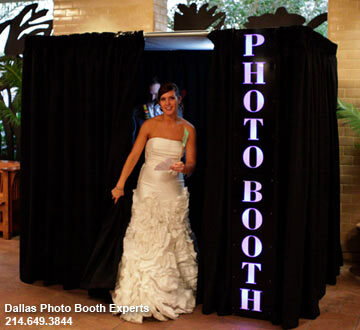 WE OFFER: Photo Booth Rental, Video Booth Rental in the Dallas/Fort Worth Metroplex and all surrounding areas. This is the 2nd time we have used this Photo Booth Company! This is the 2nd time we have used this Photo Booth Company! Oleg is the best! His communication is thorough and he is timely and everything is clean. Receiving the photos the next day is awesome! Love the ability to personalize the photo booth pix, so attendees remember the occasion! Highly recommend!! Absolutely saved our company's holiday party!! Oleg with Dallas Photo Booth Experts was just that - an expert! He absolutely saved our company's holiday party with a very last minute photo booth to the rescue! Amazing from the beginning til the end!!! Dallas Photo Booth Experts was amazing from the beginning til the end!!! We had both the video & photo booth options with the LED lights. It was a big hit! We still have family members talking about how clear the pictures are and great it was! 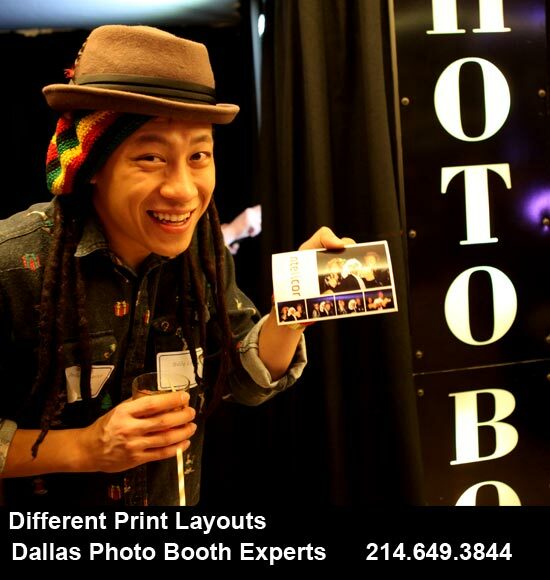 Dallas Photo Booth Experts was amazing from the beginning & exceeded our expectations! We had both the video & photo booth options. I received a tablet with all photos and videos as well as candid photos our photographer may not have gotten days after the wedding. 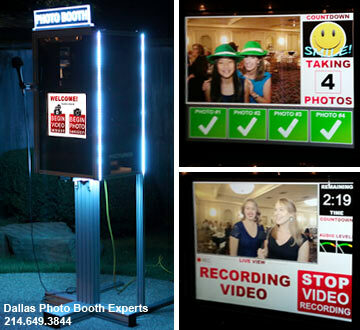 the photobooth is ultra modern and looks great in any space! Great service, on time, and the personalized design in the strips rocked. Seriously recommend Dallas Photobooth Experts. Reviews on Facebook | Visitors posts on Facebook.